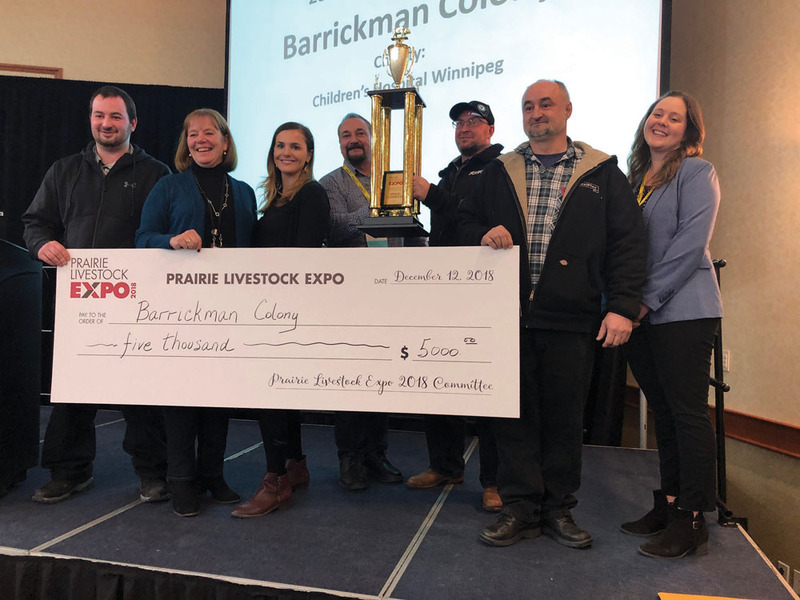 Barrickman Colony of Cartier took the top two spots in the pork quality competition at the Prairie Livestock Expo last month. 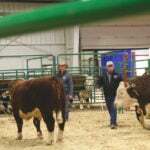 The contest, the largest in North America, celebrated its 22nd year at the annual livestock event this winter. In the entire history of the competition, this is the first time that one producer took the top two spots. Hog operations from across Canada were invited to enter one or two market hogs into the competition, which is a unique combination of bragging rights for the winners and charitable giving back to the community. All the meat is donated to food banks around the province and half the prize money goes to the winning entrant’s designated charity of choice. Since 1996 that’s translated into 55,000 kilograms of food donations and many thousands of dollars of charitable giving. 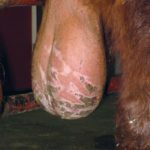 Twenty-one producers entered the competition with a total of 42 carcasses. 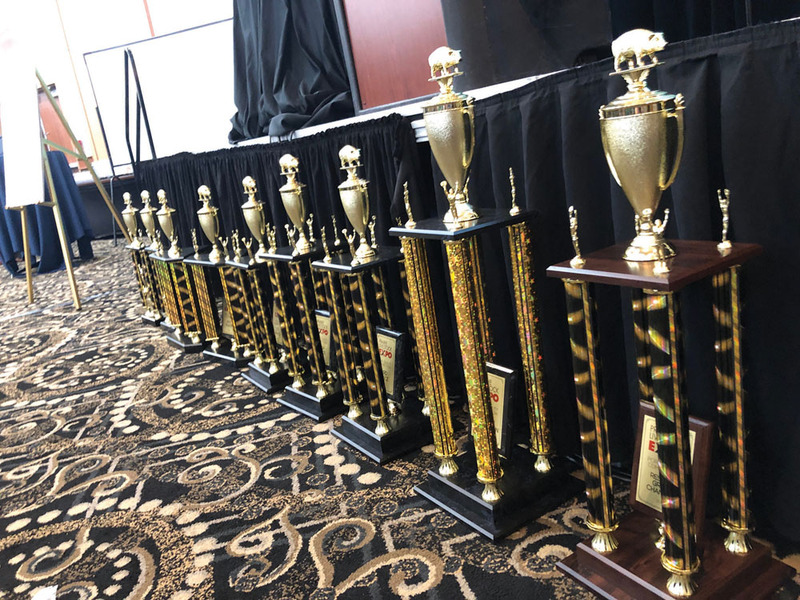 The top 10 finalists were on display at one of the more popular booths at the expo and each of those finalists would be taking home hardware for their efforts. Judging the competition were Jason Care (Manitoba Hog Grading) and Dan Bazinet (Ontario Pork Grading Authority). The quality of the entries made things difficult for judges. The top place had 100 points out of a total of 111; there was a tiebreaker for third place; and there was a three-way tie for fifth place. Each of the 10 finalists received one of these impressive pieces of hardware. 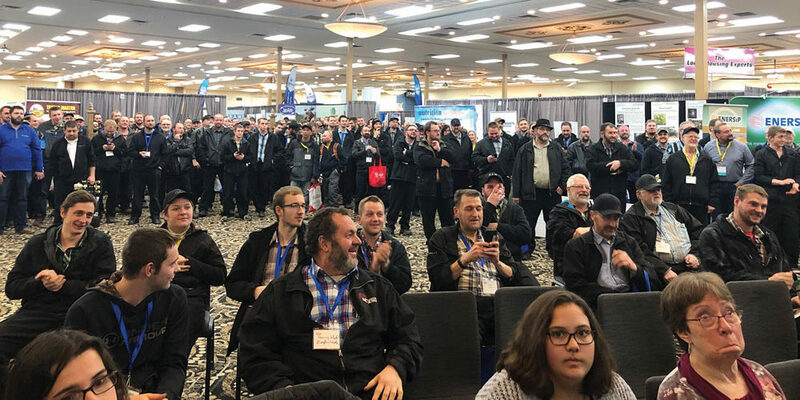 The Pork Quality Competition is always one of the most popular events at the Prairie Livestock Expo and this year was no exception. There were at least 200 gathered to watch the announcement of the winners. New Haven Colony South took 10th place and a cheque for $500. The charities they chose to donate to were Seven Oaks Hospital, Habitat for Humanity and the HSC Foundation. Maxwell Colony took ninth place and was awarded $500. Its charities were the Children’s Hospital, the Cystic Fibrosis Clinic and Cancer Care Manitoba. Rolling Acres earned the eighth spot and $500. Its charity of choice was Beautiful Plains Community Foundation. Greenwald Colony took home seventh spot, receiving $500; it will be donating to the Selkirk Hospital. In sixth spot was New Haven Colony North receiving $1,000. Its charities were the Arris Centre, the Stonewall Hospital and the Rehabilitation Centre for Children Foundation. In fifth place with a cheque for $1,500, was Northern Breeze. It chose to donate to the Portage District General Hospital, Boundary Trails Health Centre, and the Addictions Foundation of Manitoba. Millshoff earned $2,000 for its fourth-place finish, and is donating to the Glenboro Health Centre. Boundary Lane took home third place and a cheque for $3,000 and will be donating to the Virden District Hospital. Finally, as mentioned, the top two spots were awarded to Barrickman Colony. Second place earned it a $4,000 cheque and first place another $5,000. It has listed the Children’s Hospital Winnipeg as its donation recipient. Over 200 people gathered to watch the announcement of the winners. 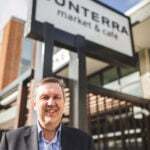 Is pork industry’s business model broken?